Morning, approaching rainclouds, originally uploaded by Brin d’Acier. When I arrived at work this morning, I saw this cloud bank approaching from the east. I had planned to go sketching outside in the afternoon, so I had my watercolours with me. Half an hour later the rain started. 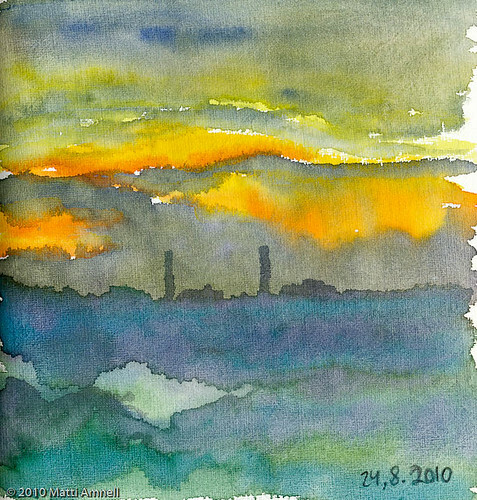 This entry was posted in Sketch of the day, Sketchbook and tagged finland, sky, watercolour. Bookmark the permalink.